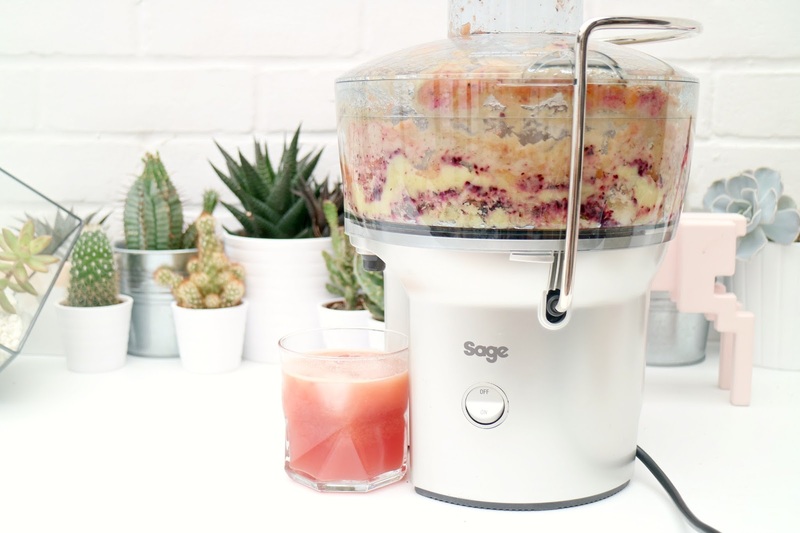 With my dinosaur of a juicer being pretty much the same age as I am and on its last legs, the wonderful people over at Sage Appliances kindly took to fixing my juicing woes and sent over a brand new shiny Nutri Juicer Compact for me to try out. I was so pleased about this that I even did a little happy dance when the postman arrived. I’ve been putting the space age looking machine through it’s paces for a few days now, and having pretty much drowned myself in fruit juice I feel now is the time to report back. On first use of the juicer, I was so utterly impressed at just how quick and easy the whole process was. You are free to leave fruit like apples and pears whole, or you can chop the best bits off for an even more smooth juice. 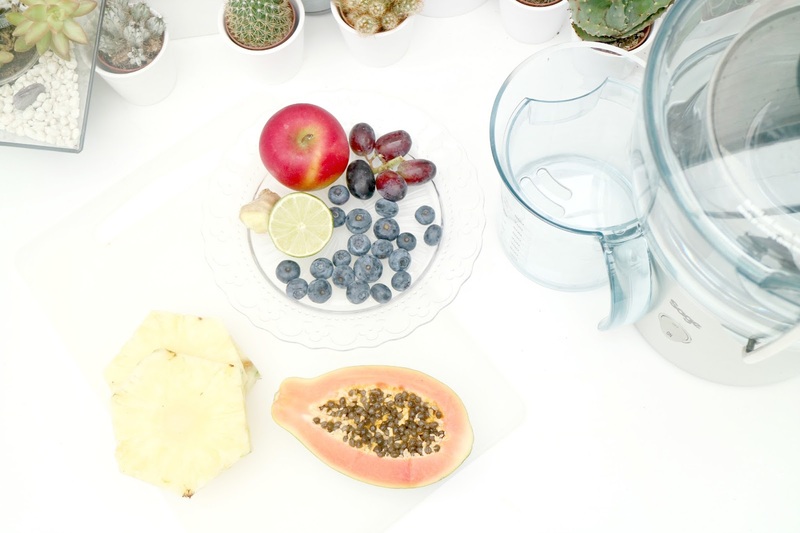 Pineapple, grapes, blueberries and softer fruits blitz away instantly and with a gentle push harder fruits are gone in a maximum of three seconds. With the machine being compact, there’s no bin on the side for the pulp as with most juicers, making it the perfect solution for if you have less space on your worktop. I love this about the machine and find it so fun to watch all of the different colours building up. As far as the yield goes, I manage to get enough juice to fill a cup from around two/three handfuls of fruit. The pulp does end up a little slushy so I wouldn’t say that the machine gets every bit of the juice out of the fruit, but it still does a damn good job compared to my previous one. It’s also super quick and easy to take apart and clean once you’ve finished, there’s even a special brush included to clean the filter/blade which is just genius and does the job perfectly. Talking of genius, the jug that collects the juice in is designed in a way that keeps the froth back once you pour it into a glass, whoever thought of that idea read my mind. 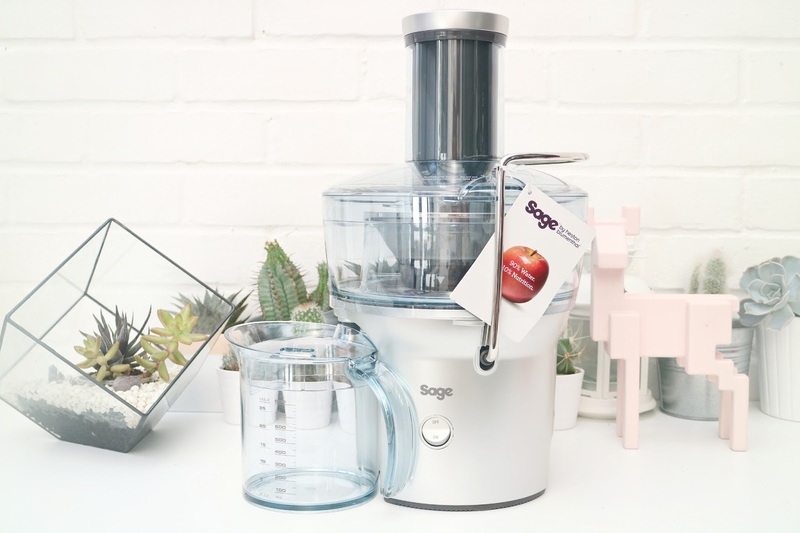 If you’re in the market for a new juicer, be it a compact version or not, I can simply not recommend this one enough. I will more than happily guarantee that should you buy one, you will love it just as much as I do. Also, should you want to give a delicious rainbow juice a go, whack in the ingredients I’ve shown a couple of photos above. I’m going to be giving some detoxing green juices a go too so expect to see a few more juice recipe posts coming up soon!